On the debone line, the birds come at you fast. That was Lisandro Vega’s first lesson. The former prison guard in Puerto Rico had moved to the town of Huntsville, Arkansas, in 2013, following relatives who found work at a Butterball turkey plant. There, he was given a knife and gloves and told to stand at a station, where 47 dead and defeathered turkeys rushed past each minute. He was responsible for every second bird. Sometimes he cut out the hip joints; other times the breasts and livers. The pace was relentless: 1,410 birds an hour, more than 11,000 a shift. And sometimes they come at you faster. Beginning in October, Butterball requires plant employees to work approximately 50 days straight to meet the Thanksgiving rush. In Huntsville, people call this period “fresh”—in Spanish, la fresca—because that’s when birds are sold fresh, not frozen. During this time, the line speed increases; Vega recalls it reaching, according to his supervisor, 51 birds a minute. (Butterball declined to comment on its line speed.) A debone worker like Vega can slice up more than half a million turkeys before receiving a single day off. It is early evening, and we are standing in front of Lolo’s Mexican Grill in Huntsville, about a mile south of the plant. Vega, 46, is short and trim, with a shaved head that reflects the glow of a gorgeous October moon. It wasn’t that Vega harbored illusions about turkey plant work. His son-in-law had quit shortly before he arrived, after a supervisor refused to allow him to take a bathroom break—a frequent complaint among poultry workers. The man had peed himself right there on the line. “His pants were wet, yet he finished his shift. Then he walked out and didn’t come back,” Vega says. Poultry workers in turkey plants can debone more than half a million turkeys before getting a single day off. The speedup has affected food safety and has sparked an epidemic of disabling carpal tunnel injuries. 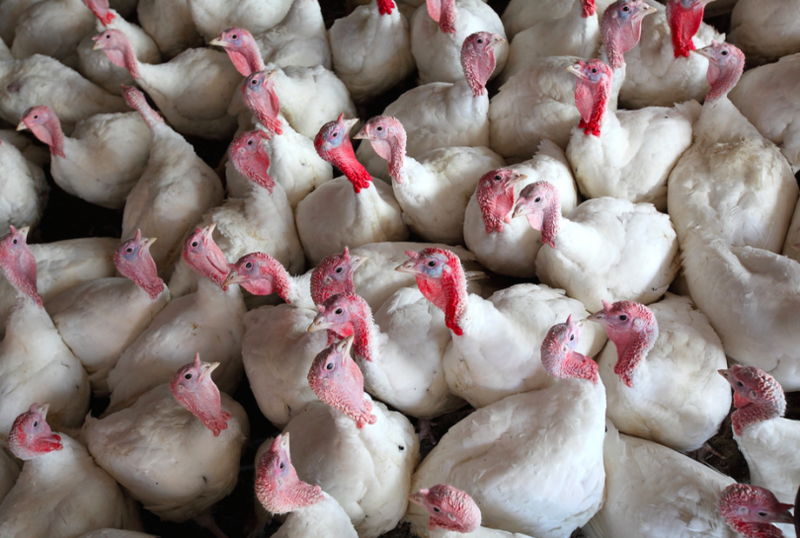 Last year, Arkansas produced 561 million pounds of turkey meat. But the pain in Vega’s hands took some getting used to. He began submerging them in a container of hot bleached water, perched nearby to disinfect dropped knives. During brief moments between birds, he’d stretch out his fingers, which tended to harden, clawlike, around his knife. And though he knew that many of his co-workers went to the nurse’s station to ice their hands and others had surgery for carpal tunnel syndrome, he found his own ways to cope. In Puerto Rico, he had dealt with inmate uprisings. He was accustomed to soldiering through. During his third “fresh” in October 2015, the ache in Vega’s hands was superseded by shooting pains in his back. While moving a heavy container of turkey carcasses with a pallet jack, he slipped and fell, throwing out his back. He struggled to get up and hobbled over to the nurse’s station. For several days, he returned to the station during breaks, where his back was iced and rubbed down with Icy Hot by a nurse. (Butterball would not comment on whether its plant nurses are highly trained RNs or minimally trained LPNs; the federal Occupational Safety and Health Administration has no requirements as long as the nurses only operate within their scope of practice.) Within a week, the pain had become tolerable, though he still walked tentatively. Then, in February, while moving another carton of turkey, he slipped on ice in the plant’s freezer, landing hard on his tender back. He returned to the nurse’s station for more ice and pain-relieving cream. Soon he was a regular, visiting twice a day for treatments. Yet he wasn’t getting better. Vega asked about seeing a doctor but says that his supervisor told him that if he did, he would be suspended. One day, while signing in at the nurse’s station, he noticed a posting on the wall. It listed an impressive number of hours that workers had gone without suffering injuries causing them to miss shifts. 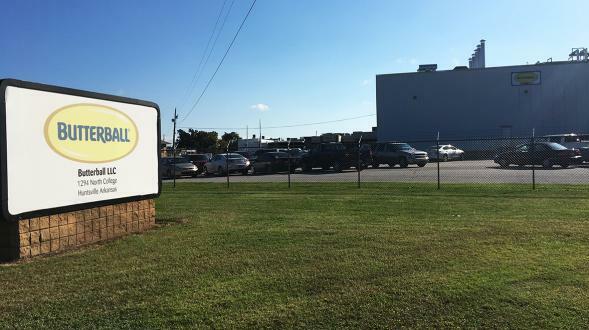 According to Butterball, the plant was one of the safest worksites in the country; in 2013, the company announced that Huntsville employees had worked 8 million hours without what is called a lost-time injury. That’s a remarkable figure—the equivalent of a single person working full-time for 3,835 consecutive years. Vega looked around the nurse’s station. He saw three people whose swollen hands were being iced. Another man had his shoulder wrapped in ice. On the walk over from the debone line, sharp pains had shot through Vega’s back with each step. If none of us are hurt, he asked himself, then what are we all doing in the nurse’s station? The Butterball plant is set back on a quiet road that meanders through rolling hills, just inside the limits of Huntsville (population: 2,346), whose motto is “Crossroads of the Ozarks.” The sprawling white structure, whose doors opened in 1974, is surrounded by a barbed-wire fence and employs more than 650 people. Each year, leading up to Thanksgiving, it cranks out 45,000 turkeys a day. On a cloudy day, a few minutes after 5 o’clock, employees are emerging through a vertical metal turnstile to walk slowly to their cars. It is day 13 of “fresh.” I take a seat on a bench near the turnstile and talk to a Latina woman who looks to be in her 40s as she waits for her ride. She wears a purple sweater and is gingerly opening and closing her hands. “Of course they hurt,” she tells me. “But I can handle it.” She suggests, however, that I probably shouldn’t apply for a job inside, then declines to say more after I identify myself as a journalist. The Butterball plant in Huntsville, Arkansas. Turkey is big business in Arkansas. Last year, the state produced 561 million pounds of turkey meat, fifth in the nation behind North Carolina, Minnesota, Indiana, and Missouri. Butterball, the nation’s largest turkey company, has two other plants in the state. Thirty miles east of Huntsville is the city of Springdale, which the Arkansas state legislature recently declared the “poultry capital of the world.” It’s hard to argue with the title. The city is home to another hulking turkey plant, this one owned by Cargill, and is the corporate headquarters of Tyson Foods. On the short drive from my Springdale motel to the Cargill plant, I pass three chicken plants, two hatcheries, and a dead turkey on the side of the road. In the middle of all these plants is a one-story brick complex that contains the offices of the Northwest Arkansas Workers’ Justice Center. With a staff of four, the group has launched a campaign to improve the working conditions and wages of the nearly 28,000 poultry processing workers in Arkansas. Earlier this year, they marched on the Tyson headquarters, holding signs that read “WE ARE NOT MACHINES, WE ARE HUMANS.” The group is underfunded, understaffed, and feisty. I meet Nelson Escobar in the parking lot. 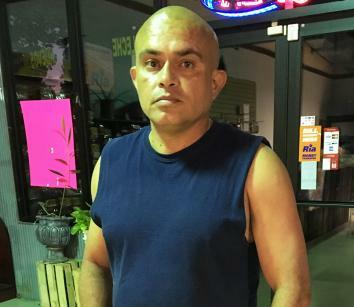 Originally from El Salvador, he worked briefly at a poultry plant in Springdale but balked at what he felt were inhumane working conditions. “Out here, if you get hurt, they fire you,” he tells me. “If you complain, they fire you. I didn’t like any of that.” He started volunteering at the center several years ago and is now the group’s director of organizing. Escobar ushers me into a room where a woman with brown hair is seated at a long table. Vilma Asencio began working at the Cargill turkey plant in 2001; her first job involved pushing around racks of turkeys, which she says can weigh up to 2,000 pounds. At one point, she was moved to the shackle line, where she spent her shifts lifting dead birds up onto hooks. “These were big turkeys,” she says. In 1960, according to the U.S. Department of Agriculture, the average turkey weighed less than 17 pounds. Today the average weight is more than 30 pounds, with some of the largest males reaching more than twice that. Such sizes make natural breeding impossible, which is why there is an occupation called an artificial turkey inseminator. Members of the Northwest Arkansas Workers’ Justice Center protest in February at Tyson Foods’ annual convention in Springdale, Arkansas. After a year on the shackle line, Asencio says her right hand began to feel like it was permanently asleep. “I had lost all my strength,” she says. “Even a water bottle was too hard to open.” She went to the company nurse, who offered her little more than ice. Asencio says she had a private insurance plan with Blue Cross Blue Shield, for which she paid $89 a week. “I knew that the company only wanted to put Band-Aids on everything. I didn’t trust them.” As the weakness in her hand worsened and the nurse continued to refuse to refer her for an outside exam, Asencio scheduled her own appointment with a doctor. He ordered a nerve conduction study, which confirmed carpal tunnel syndrome, and scheduled a surgery. Asencio took the report back to the plant nurse and filed a workers’ compensation claim. The company’s insurer denied the claim, she recalls, determining that the carpal tunnel was unrelated to the repetitive motions she made on the job. “I didn’t even try to fight it,” she says, lifting up her arm to reveal a scar on her wrist. “I just wanted the strength in my hand to return.” After the surgery, she was out of work for three months. “It’s crazy,” says Evelyn Brooks, an attorney in Arkansas who specializes in workers’ compensation cases and estimates that half her caseload involves poultry companies. “A worker like Asencio did the same fast production line work since 2001. But then insurance companies will ask questions like, ‘Do you whittle in your spare time?’ They’ll try to blame the injury on anything else. It’s the insurance company that makes the decision, but a place like Cargill—which is like a workers’ comp machine—is heavily involved.” A company with a high number of workers’ compensation cases, she notes, will end up paying more for its premiums. In 2014 Asencio had a second surgery to resolve what her doctor originally believed was tendinitis in her right shoulder, also caused by the repetitive lifting of turkeys. This time, the insurance company didn’t question that her pain was work-related. But three weeks before her surgery, Asencio was called into the plant’s office. Her mother had recently died, and a manager handed her a condolence card. Then she fired her. According to Asencio, she said she had been late too many times, a charge she disputes. (Martin declined to comment on the alleged firing but said Cargill “complies with all employment laws.”) When she had the surgery, doctors discovered that her tendon was not simply inflamed; it had actually snapped. Two years later, her shoulder still causes significant pain, but her doctor has not recommended further treatment. Brooks is now representing Asencio in a case in front of the Arkansas Workers’ Compensation Commission; she has requested that Asencio be assigned a new doctor. “I just want some of the pain to go away,” says Asencio, who is studying counseling at the University of Phoenix. Her hope is to someday land a job where she doesn’t need to use her arms or hands. This February, the Northwest Arkansas Workers’ Justice Center published a lengthy report about poultry workers in Arkansas, which included data drawn from surveys of 500 turkey and chicken plant workers. About 60 percent of these workers reported having suffered an injury or illness on the job. One of the chief complaints was the dizzying line speed. Several workers reported that the lines go so fast that they often don’t even realize they have cut themselves until later. A Cargill plant in Springdale, Arkansas. After an outcry among worker safety advocates and unions, along with food safety groups, the USDA backed off the increase in chicken speeds but let the turkey increase go through as planned. Vega told me that he couldn’t imagine working on a line going any faster than 51 birds a minute—the top speed he’d faced during “fresh”—but now workers might have to. The National Institute for Occupational Safety and Health, an arm of the federal Centers for Disease Control and Prevention, researches workplace injuries and ways to prevent them. The last time NIOSH looked at repetitive cutting motions in turkey plants was 1987, nearly 30 years ago. The agency visited a plant in Colorado, where it videotaped workers on the job and reviewed company paperwork. Its team, which included several doctors and an industrial engineer, discovered that employees performed up to 28,800 cuts in a single shift. The investigation also revealed what it called “considerable underreporting of injuries.” The company, it found, kept two books. The first tracked injuries for the plant’s medical log; the other listed injuries reported to OSHA. In one month, 160 injuries were noted in the medical log. Only six were reported to the government. "If you miss a turkey, you’re going to immediately hear: ‘What happened? You can’t let them go by!'" Failing to record injuries is one strategy to create the illusion of a safe workplace. Another is to fail to refer workers to doctors for proper tests and diagnoses. Each time an injury causes an employee to miss a day of work or to receive medical treatment beyond first aid, the company is required to record it in an OSHA log book. This data is reported each year to the Department of Labor and is used to identify industries with high injury rates—whose facilities will then face increased inspections. An industry that reports low injury rates is less likely to receive scrutiny from OSHA’s overstretched investigators. In the summer of 2014, executives of the nation’s largest poultry companies—including Cargill and Butterball—gathered at the Hilton Sandestin Beach Golf Resort, a 2,400-acre retreat on the Florida coast. They were in town for an industry-sponsored safety conference that focused on “ergonomics and reducing cumulative trauma disorders.” The conference concluded with an awards ceremony, honoring poultry plants with better-than-average injury rates for three consecutive years. Wayne Farms, a Georgia-based company, took home 13 awards, including an “Award of Honor” for its processing plant in the unincorporated community of Jack, Alabama. 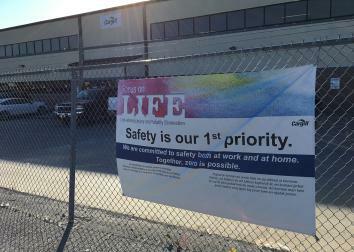 Several weeks earlier, OSHA had concluded an inspection of the same Jack plant. Inspectors found that Wayne Farms had a “standard practice of returning injured workers to regular duty.” One employee was seen by the nurse 94 times before finally being referred to a physician. “Perhaps more than any other industry, the poultry industry has focused its energies on the prevention of workplace injuries,” read a joint press release put out earlier this year, on behalf of the National Turkey Federation, the National Chicken Council, and the U.S. Poultry and Egg Association. It is true that the official injury rate for poultry workers has decreased: From 2004 to 2013, it dropped by 42 percent, from 9.8 to 5.7 injuries per 100 full-time workers. 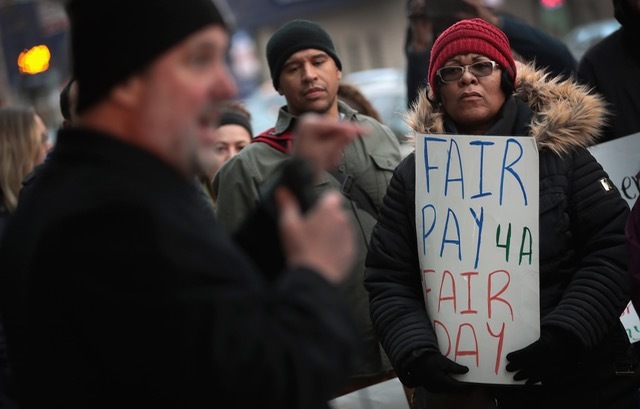 Yet as the Wayne Farms plant demonstrates, a low injury rate may simply mean that companies have found new ways of discouraging workers from receiving needed medical treatment or taking time off. It’s difficult to know the true injury rates among poultry workers—though they certainly are much greater than official figures suggest. Part of the problem is that OSHA is a severely underfunded agency. OSHA inspectors, according to the Wall Street Journal, only have the capacity to visit each U.S. workplace once every 99 years. Inspectors haven’t set foot inside Huntsville’s Butterball plant since 1995, back when Bill Clinton was in his first term. Many workers, after being injured, simply quit. In the Northwest Arkansas Workers’ Justice Center study, more than 1 in 5 injured workers reported that they were subsequently fired. There have been two recent investigations by NIOSH of repetitive stress injuries at chicken plants that give a more reliable indication of injury rates. In March of 2014, NIOSH found that 42 percent of workers at a chicken plant in South Carolina showed evidence of carpal tunnel syndrome. A year later, it published another study, this time of a Maryland chicken plant; 34 percent of the workers exhibited evidence of carpal tunnel. In Maryland, NIOSH also reviewed the company’s OSHA injury logs. Over a period of four years, from 2010 to 2013, it found only four entries for workers who had suffered work-related carpal tunnel syndrome. For Lisandro Vega, the former prison guard from Puerto Rico, the breaking point came in late April, two months after his second fall. He had been visiting the plant nurse to have his back iced and rubbed down with cream during each break throughout late February, the entire month of March, and into April. Twice a day, every workday, he shuffled back and forth from the debone line to the plant nurse. He started visiting a massage therapist once a week in Springdale, on his own dime, but didn’t tell the company, not wanting to get in trouble. The therapist told Vega that his lower column was deviated, he recalls, and that the massages would only temporarily alleviate his pain. Standing upright and slicing through thousands of turkeys a day wasn’t giving his back a chance to recover. Several times, he woke up and tried to get out of bed, only to have his back seize on him. “I would just lie there, unable to move, staring at the ceiling,” he says. On those days, he didn’t make it in to work. Up to the end, he continued to get twice-a-day treatment at the nurse’s station. It had started to become second nature to walk leaning to one side, which slightly relieved the pain in his lower back. Yet he worried that he might do permanent damage to his body, and even the grizzled prison guard knew that it wasn’t worth taking the risk. Not knowing what else to do, in mid-April, he quit. Butterball’s injury-free streak remained intact.